Yup, it’s another installment of Dude, clean your house already! 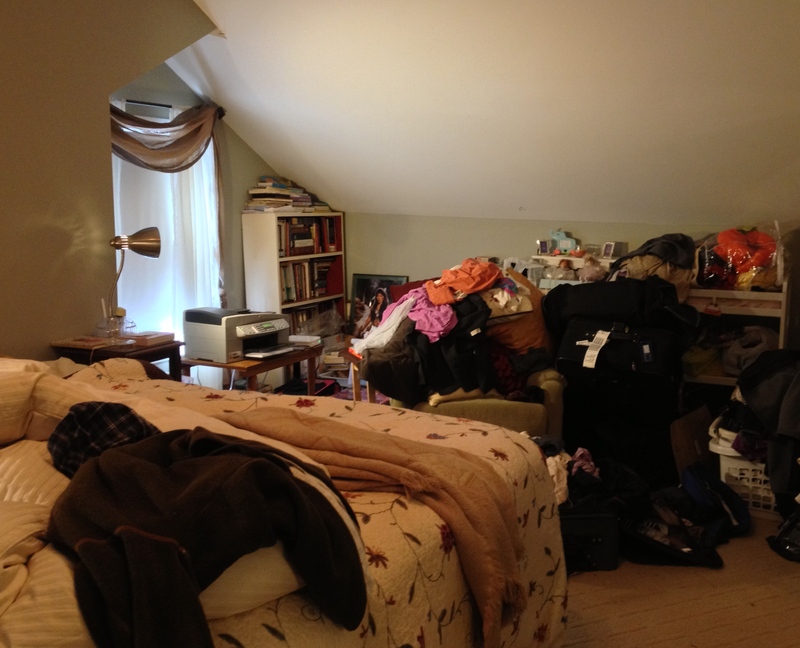 Ever since I hauled out all the stuff that had piled up in our living room, I’ve been using that room quite a bit. It’s become one of the most pleasant places in the house, especially early in the morning and late at night. 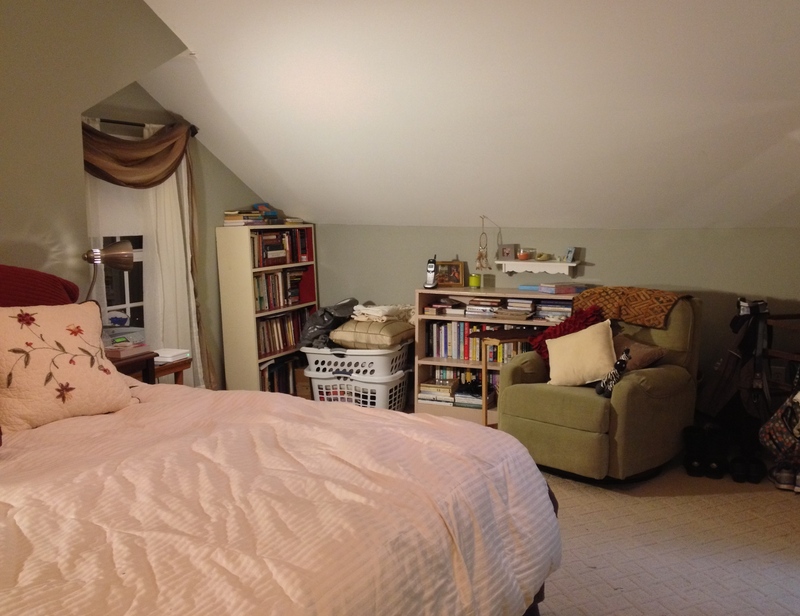 The experience of transforming that room from a non-place to a space for relaxation got me to thinking about other rooms in the house that likewise could benefit from a more definite sense of purpose. Given that I spent a good bit of time shedding my wardrobe yesterday, the bedroom seemed like a good choice of where to start. The challenge was: how could I dedicate this space to its own flavor of utility, much as I discovered I had done with the living room? Why not make the bedroom a sort of refuge within the house? Right now, there’s barely room to walk around, much less take comfort. But the room certainly has some promise. As with most of the spaces in the house, the first step was clearing out the stuff we absolutely no longer need–for example, the changing table that has been piled high with all sort of stuff for years. Then there’s the stacks of papers in the corner, some shipping packaging tucked behind the chair, the carry-on luggage from our last trip that never quite made it back into storage, etc. etc. You get the idea. I don’t know about “awesome,” but it is a major improvement–even if I didn’t quite finish. Still, the room definitely looks like the kind of space where I can imagine closing the door, sitting quietly, and getting away from the turmoil of the day. Looks like I will have to tackle the other half of the room tomorrow! This entry was posted in Uncategorized and tagged chaos, clutter, comfort, home, organization, rest, simplicity. Bookmark the permalink. Good work! Sounds like order and clarity are spreading out through your home. “Choose a space and inoculate it with order” was the take-away my wife got from some organizational guru’s book, or she might have picked that up at UfYH (which, if you don’t know it, is rude, hilarious and helpful). Your little successes are encouraging me to chase mine, thank you! Oh wow–thanks for the new source-reading!